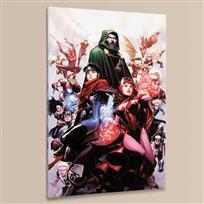 Marvel Comics "New Avengers #50" Numbered Limited Edition Giclee on Canvas by Billy Tan; Includes Certificate of Authenticity. 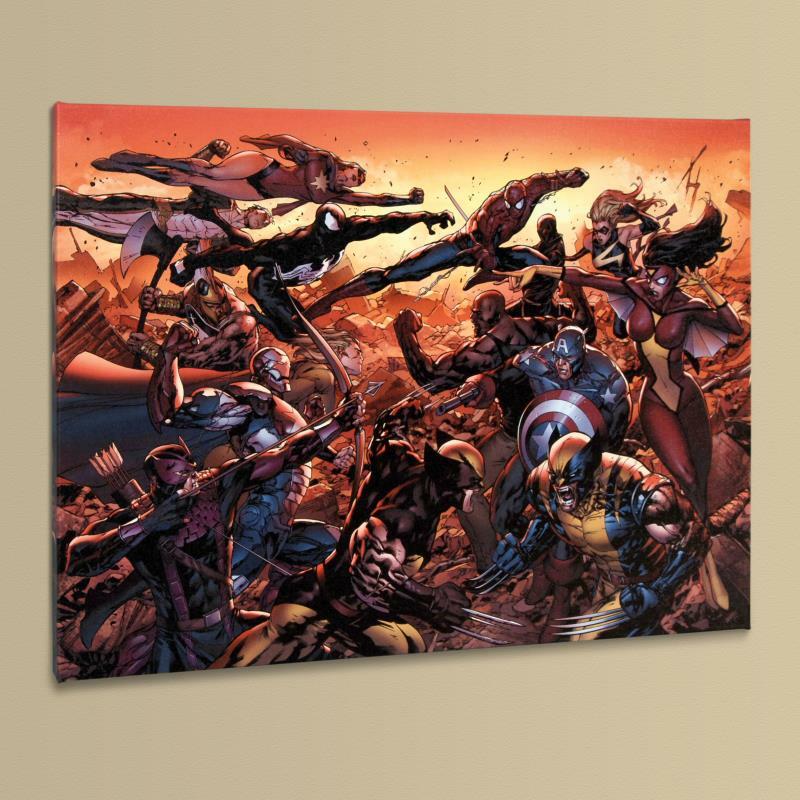 A piece of comic book history, this limited edition, from original art by Billy Tan, depicts Wolverine, Spider-Man, Spider Woman, Captain America, Hawkeye, Iron Patriot, Ares, and Ms. Marvel. 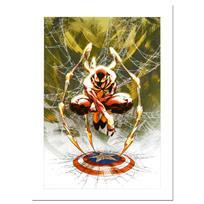 Billy Tan grew up in Malaysia and moved to the United States in 1989 to study business at the University of Kentucky. 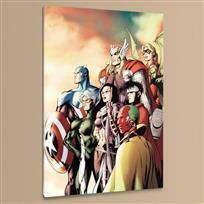 He began working as a penciler for Image Comics in the 1990s. 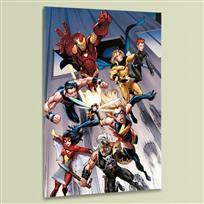 Tan became the regular artist of the Marvel Comics series Uncanny X-Men in 2006. 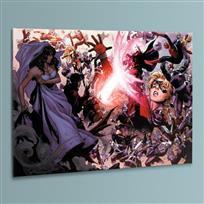 In 2008, he was invited to draw New Avengers Secret Invasion tie-in issues #41 and 43-44. 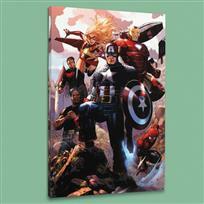 "New Avengers #50" is a limited edition numbered giclee on stretched canvas by Billy Tan presented by Marvel Comics. 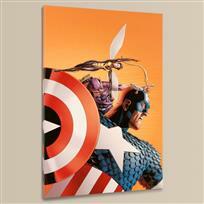 This piece comes gallery wrapped. Includes Certificate of Authenticity! Measures approx. 24" x 18" (image); 1.5" (depth). 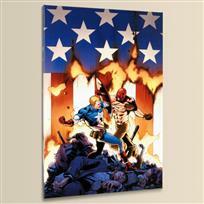 "Civil War #3" Numbered Limited Edition Giclee on Canvas by Michael Turner (1971-2008) and Marvel Comics. Includes Certificate of Authenticity. 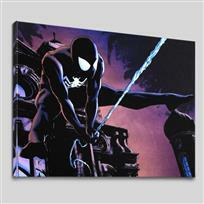 Marvel Comics "The Amazing Spider-Man #637" Numbered Limited Edition Giclee on Canvas by Michael Lark; Includes Certificate of Authenticity.